My Dad's 62 and a 1961 Airstream Bambi we just bought. I think the silver and the black complement each other. Bet you get some looks with pulling that. I'd love an Airstream, but they are prohibitively expensive, even the little ones. Here's my 62 with our 1969 Viscount Ambassador. Foggy mountain overpass on our annual trip to the beach. There's a full sized vintage Airstream converted to a snack food pop up near the duck pond in Centennial Park here in Sydney in case you have not seen it. They do american style sandwiches etc. 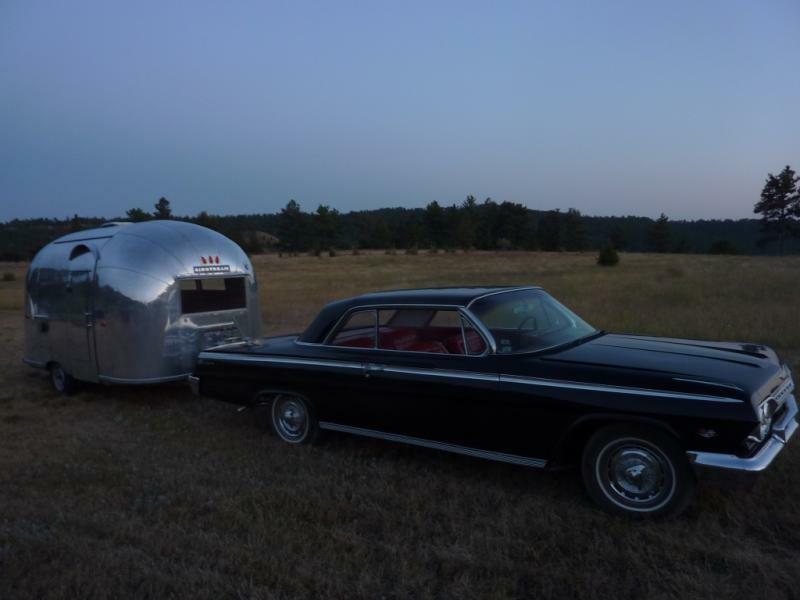 In vintage airstreams the smaller they are the more they are sought after. The guy I bought mine from ships quite a few to Australia. Vintage airstreams have a lot of instances of rotten floor and rusted frames.